As I sit at my desk and snack on a Honeycrisp apple dipped in almond butter, I find myself daydreaming of how amazing a Hawaiian Sweet Roll drenched in spinach artichoke dip would taste at this very moment. This carbolicious, sour cream based fairytale got me thinking… we have a ton of options for eating healthy, nutritious meals here in Downtown Tempe, and I'm thankful for it! *cue make-healthier-choices new years resolution* However, life is about balance... right? Luckily, for every nutritious, gluten free, leafy green concoction we have access to, there exists a beautiful, cheesy, calorie filled counterpart. I asked everyone in the office what their absolute must-have cheat meal in Downtown Tempe is. The one they look forward to sinking their teeth into when they just do not give a fluff. 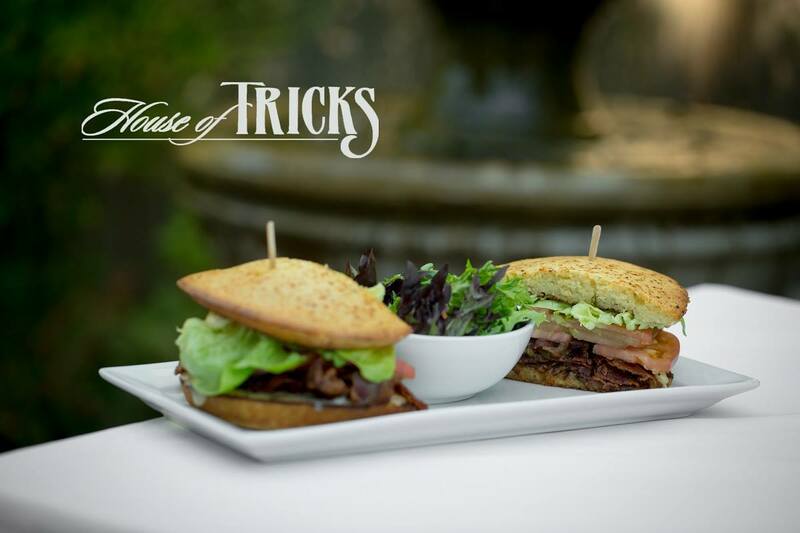 Chili-Rubbed Bacon, Melted Havarti, Roasted Green Chiles, Bibb Lettuce, Heirloom Tomato and Mayo sandwiched between two savory slices of warm, toasty cornbread. Need we say more? This decadent creation is usually served with a side of mixed greens and lemon vinaigrette...but if you really want to go all out, we won’t tell anyone if you swap the salad for the chive-bacon potato salad (do it). 3. 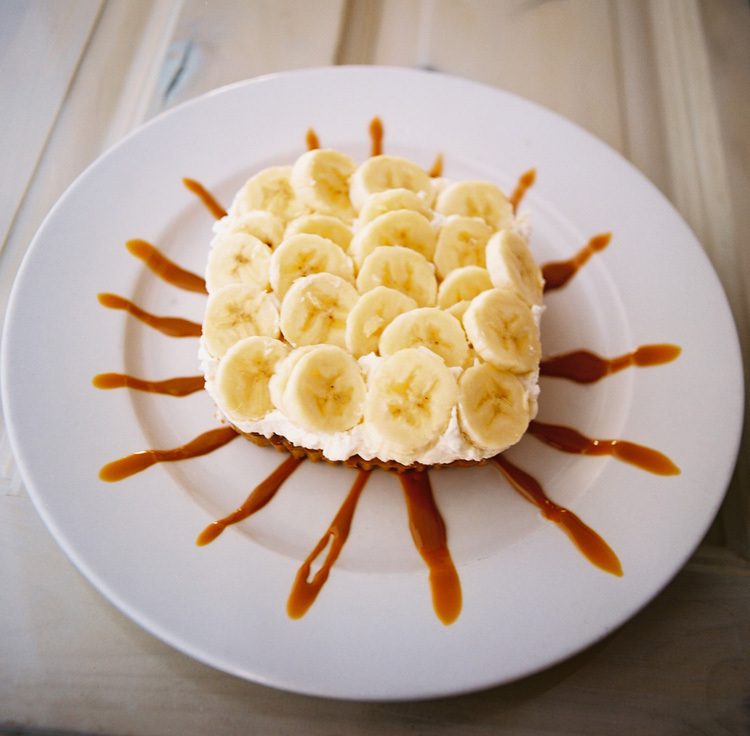 Banoffee Pie from Cornish Pasty Co.
Let’s be real, it’s tough to save room for dessert when you dine at Cornish Pasty… and with all of their delectable, hearty entrées... maybe you shouldn’t. This dish deserves a visit of it’s own. This ridiculous indulgence includes graham cracker crust, homemade caramel, fresh whipped cream and sliced bananas on top… all served up like a personal sized (I mean.. you could share I guess...), perfectly Instagrammable gift from above. Whiskey BBQ pulled chicken, topped with melted cheddar, creamy slaw and crispy cajun onions… SOLD! Top this off with a side of house cut fries* and you will not be disappointed! *best enjoyed M-F 4-7, aka happy hour. aka half priced beers. nom nom nom. Who doesn’t love a soft pretzel? Such a classic favorite! 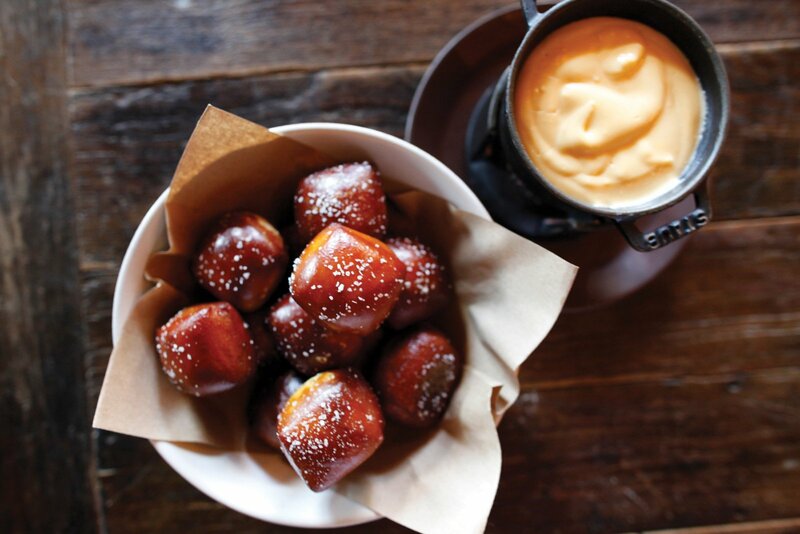 These pretzel balls are something special… served warm and topped with sea salt, these heavenly treats could be enjoyed alone, sans dip… but let’s be real. You know what makes them one million times more mouthwatering? Provolone fondue. Let me say this again… Pro. Vo. Lone. Fon. Due. Dip your hearts out. When I asked Kate what her favorite "cheat meal" was... she didn't just answer with the panini... she said "a plank of bruschetta, with prosecco, followed by the Prosciutto & Brie Panini and the caramel dessert (after grueling investigation I found she is referring to the Salted Caramel Sundae.. and it's not your average sundae...) from Postino..."
I like your style, Kate. For the sake of time, and for the sake of our extreme longing for literally everything she just mentioned... I'll only be breaking down the sandwich for you today. This jackpot consists of prosciutto, triple cream brie, fig jam, arugula, balsamic vinegar and olive oil. 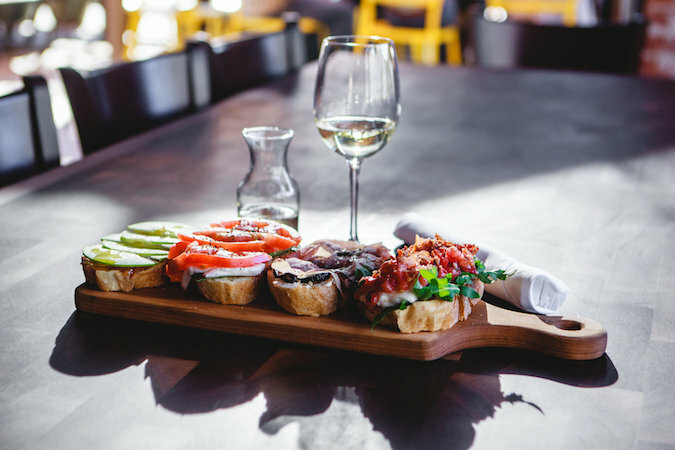 It’s all delicately placed between your choice of toasted ciabatta or focaccia, and served up with your choice of a romaine salad or Yukon Gold potato chips. Alright, Fuzzy’s is not holding back with these nachos. 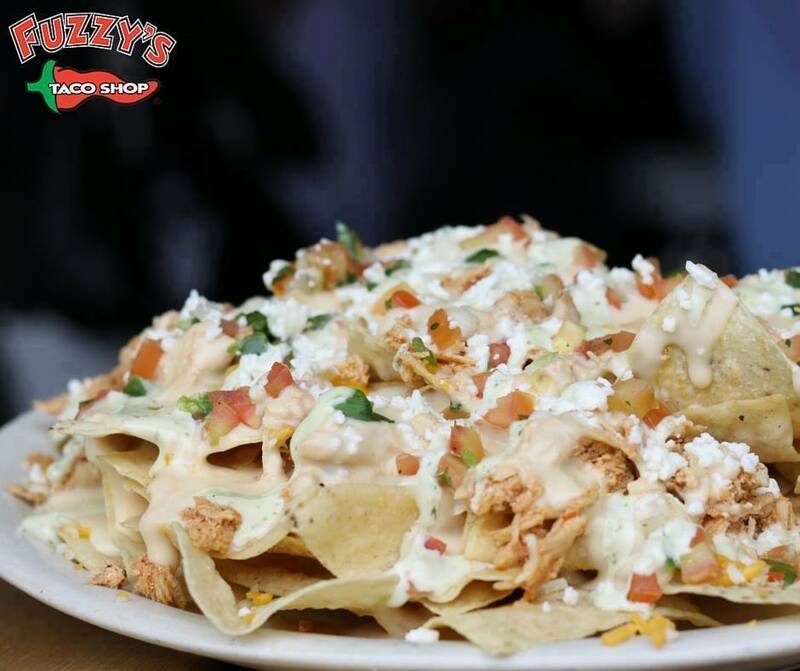 They top their fresh tortilla chips with your choice of meat (shredded chicken, ground beef, spicy pork, shredded brisket, fajita beef, fajita chicken) PLUS shredded cheese, creamy queso, pico de gallo, garlic sauce and… wait for it… feta. We’ve died and gone to cheese lover's heaven. 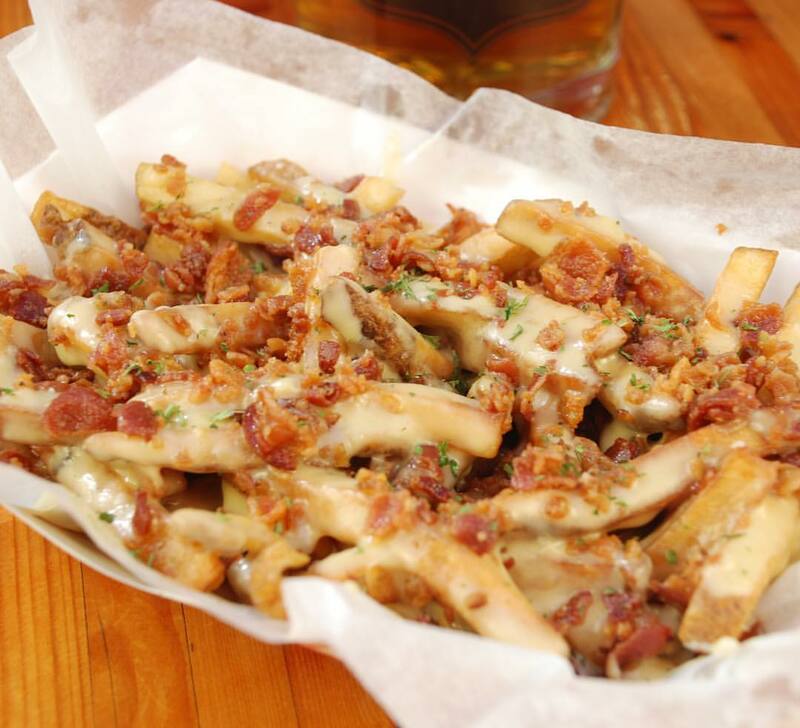 These crispy delights aren’t just a side dish anymore… you can also load your fries with cheese, bacon, and/or a chopped brat! Helloooo french fry dinner! So, what's your guilty Downtown Tempe pleasure? Is it a hidden gem tucked somewhere deep in the corner of a menu, or a well-known favorite? Let us know by commenting below, or posting a photo with the hashtag #DowntownTempe !